The North American Flame Retardant Alliance (NAFRA) is sharing five fire safety tips this holiday season. The holidays are about taking a step back from the everyday to spend time with loved ones. Families across the country come together to continue traditions passed down through generations and make memories that will last a lifetime. One new tradition every family should incorporate this year is taking a few moments to celebrate safely. Because of the prevalence of home fires during this joyous time of year, NAFRA—a group that represents manufacturers of flame retardants—wants to help families celebrate safely. Families can practice these five fire safety tips. Throughout December, NAFRA (@amchemistry) will also be sharing tips on how to stay safe from fires during the holiday season. You can participate in the conversation with the hashtag #celebratesafely. Choose decorations that carry a Underwriters Laboratories or Canadian Standards Association label, indicating they have been tested for fire safety. The American Red Cross recommends placing Christmas trees and holiday decorations at least three feet away from heat sources. 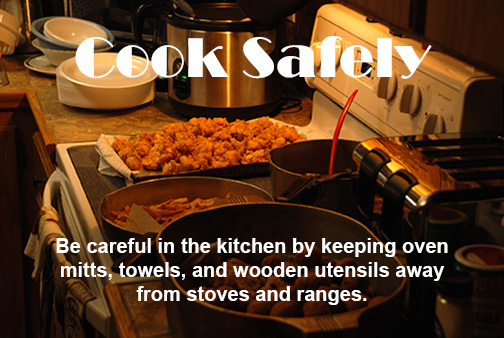 Be careful in the kitchen by keeping oven mitts, towels, and wooden utensils away from stoves and ranges. Never leave burning candles unattended, and keep your Christmas tree hydrated. Make sure kids don’t play with matches and lighters by keeping them out of reach. 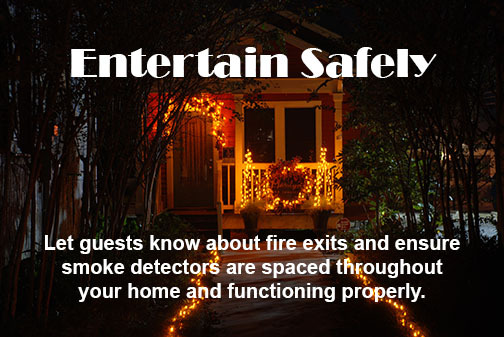 Let guests know about fire exits and ensure smoke detectors are spaced throughout your home and functioning properly. Our hope is that all families will be more aware of fire safety this holiday season.